Delicious and savory, these crispy beef bites are perfect for parties appetizers, stir fry dishes, or elaborate salads. 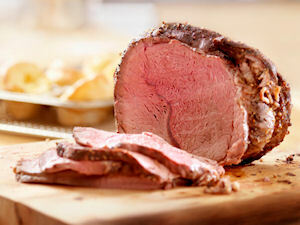 Roast sirloin is dredged in flour and eggs before being deep-fried to a crispy gold perfect. These easy and gourmet snacks will be loved by everyone who tries them! Preheat oven to 375 degrees F. Cook sirloin in a large baking dish until meat thermometer registers 150 degrees F. Remove and cool. Cut beef roast into 1-inch pieces. Set aside. In small bowl combine milk and 1 Tbsp flour. Stir in eggs. In shallow dish mix 1 1/2 c. flour, salt and pepper. Dip pieces of beef into egg mixture then dredge in flour mixture. Fry in hot oil until browned and heated through (about 10 minutes.) Drain on paper towel and serve hot.